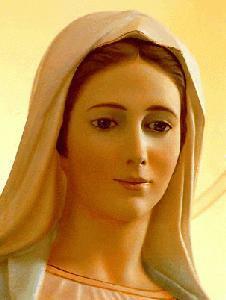 Oh Most Blessed Virgin Mary! , dear mother you are appearing in so many places throughout the world. For those who believe no explanation is necessary, but for those who doubt no explanation is sufficient. Our faith in you will give us so many graces, so we wait eagerly the approval of the Church for your apparitions, in the meantime we just submit obediently to its prudent directions and keep responding to your call.